Armistice Day, the day in 1918 that marks the cessation of hostilities on the Western Front and the end of World War I, is celebrated on November 11 in France. For those of us born in the latter half of the 20th century, the sacrifices of WWI have slipped from collective memory, or were never learned at all. 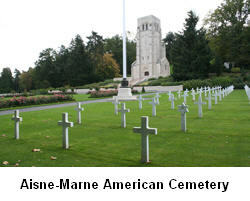 In this month's Paris Insights, we visit the town of Château-Thierry and the nearby forest called Belleau Wood, where American forces stopped the German advance toward Paris in May-June 1918.